Description: Talbot Press, Dublin, Ireland, 1934. First Edition, Brown Cloth. Good/No Jacket. gilt titles spine; (from the author's preface): "This book is not a biography, and gives no intimate study of character. The reader will not find here that which he is probably seeking: a description of Sarsfieid's boyhood and his love story. I wish such knowledge were mine. I have given all that record presents: the detached tale of the soldier. It may be objected that Sarsfield almost disppears behind the smoke of battles and that his voice is lost in their uproar . He recruits and commands; he inspires the people of Ireland, and becomes the idol of the common soldier; alone among the native race, he is feared by the army of invaders. He dies in the same cause to which the effort of his life was directed. Yet his personality remains very obscure. The story of Sarsfteld merges inevitably into an account of the Jacobite War in Ireland, because I was obliged to explain whose guns were crashing over our hero's head; against whom the huge dragoon led the cavalry charges that made him famous; and what motives guided his exploits. 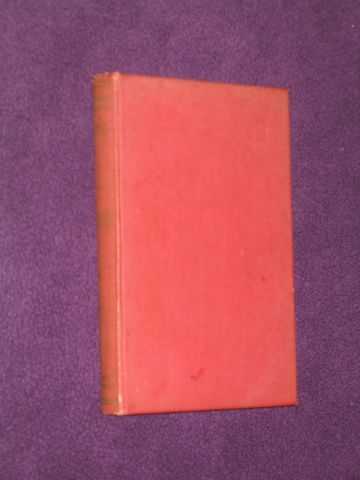 "; fading to spine gilts & some marks to covers but a sound copy; previous owner's name to fep. ; including bibliography - 180 pages. Size: 12mo - over 6¾" - 7¾" tall. Quantity Available: 1. Category: History; Politics & Government; Jacobite War; Biography & Autobiography; Ireland; 18th century; Military & Warfare. Pictures of this item not already displayed here available upon request. Inventory No: HST00045.